Our protagonist Pip, is a pixel of a few faces. He starts as a small red pixel, but soon he can change into an 8-bit character, and then a 16-bit character. Through his journey he will evolve and devolve between his various forms. This then becomes the Adventures of Pip. The Adventures of Pip is a side-scrolling adventure that has Pip on track to rescue the princess through a color world with great level design. The story of Pip begins in a kingdom where the more pixels you have the more prowess you have from those around you. Single pixels are the bottom of the barrel, while 16-bit characters seem to be the cream of the crop. With this in mind, an evil Queen then enters the kingdom and takes the princess hostage. All the residents of the kingdom cry in fear as the Princess is captured. Except for one. The single pixel Pip, is the only one brave enough to stand up and decide to rescue the princess. Pip will journey through five different environments, with about eight levels each, as he searches for the Princess. Each level only lasts a few minutes and if you are on a roll, it can feel like you are flying through the game at times. Three villagers in each level also act as collectibles. The villagers don’t change the game much, but you can view them back at town and chat with them. For completionists, you’ll want to find them all. At the end of each new environment, Pip will face off against a boss, and these bosses are the most challenging part of the game. Pip’s story isn’t anything that will amaze you, but it’s there to help you progress through the story. A big mechanic of the game is the evolving and devolving mechanic. Pip begins his journey as a single pixel, but will evolve to an 8-bit character and then 16-bit character. Each form has different abilities that are used to progress throughout the game. 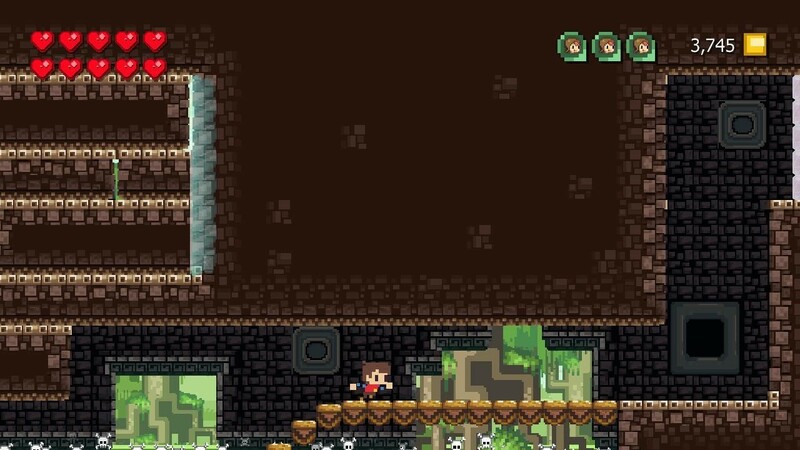 For example, the single pixel Pip can float and can fit into small sections to find treasure or collectables. 8-bit Pip can run fast and wall jump, and 16-bit Pip is slower, but has a sword he can use to attack enemies or destroy certain blocks. Each form has their own pro and cons, and evolving and devolving is vital to progressing through the game. Evolving to different forms is done by attacking an enemy with a blue aura around them, and devolving is done by holding circle. It’s a simple process, and you will be evolving and devolving to progress through certain sections without even thinking. Where the game shines is in its level design. When you see a couple walls close to each other, you know you need to be an 8-bit character to wall jump. When seeing a small crevice, you know you need to be a single pixel. I wasn’t stuck once in a situation that I didn’t know what to do. Some players may want a little challenge in knowing what to do next, but it keeps the fluidity of the game flowing smoothly, so you aren’t stuck on one section for an extended period of time. Enemy placement is expertly done. Each enemy is placed so that you know whether to evolve or devolve in whatever section you are in. Enemies are recycled from a few enemies, but each section offers new ones. Traps and other obstacles are placed so well, that even though you will see the same spikes and blocks, it feels like a brand new small puzzle to solve. The game is filled with secret areas. Some contain hidden villagers, while others contain treasure chests. After each environment you’ll encounter a boss, and these are one of the highlights of the game. They are tough to defeat and each have a different method to defeating them. The art and design of the bosses also shows off how beautiful the game can be. If you are struggling with a boss or level, you can spend pixels you collect from defeating enemies and treasure chests to buy upgrades or boosters. An upgrade can make 2enemies deal half as much damage to Pip, or a booster can refill your health. There are other boosters and upgrades as well, and becoming a powerful Pip can help you breeze through levels. Pixels can be tough to obtain early on, but the further you progress, the more pixels you will begin to obtain. 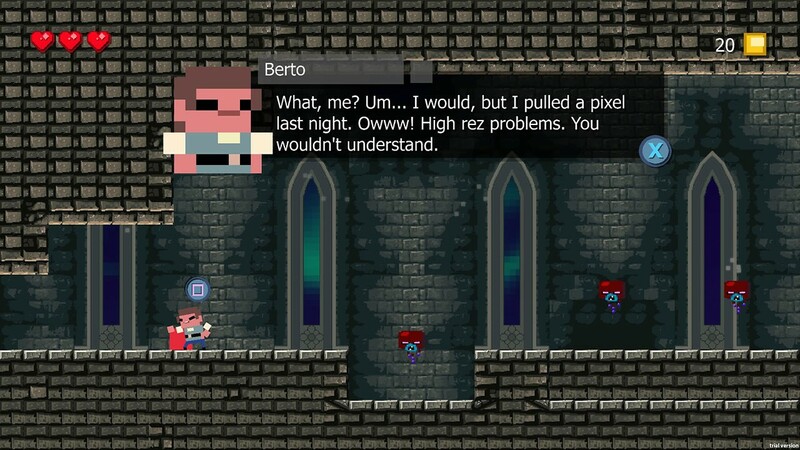 Brilliant art and graphics shine in Adventures of Pip. Enemies and the various forms of Pip look great, and the animations on the characters are good as well. However the look of the supporting characters, such as the Queen, Princess and bosses look even better. At one moment you think you’ll be seeing the game at its best, then you’ll see a towering boss and it will reset your expectations of how the game looks. 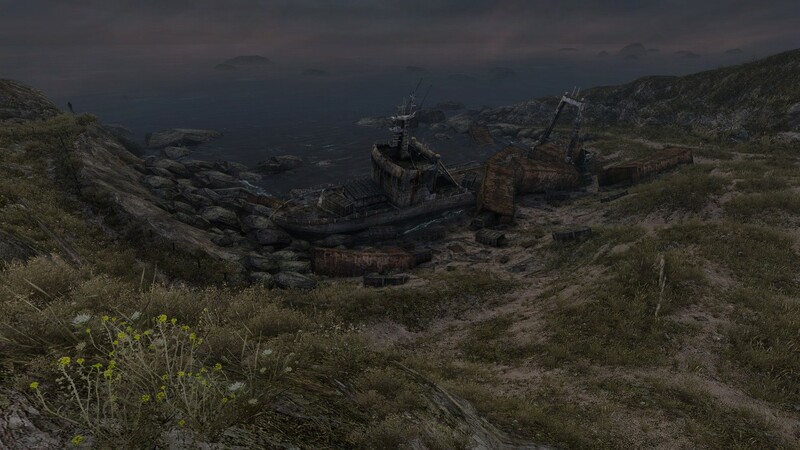 The environments look unique, and each one has some different platforms and traps. In the forest you’ll be jumping on tree stumps, the caves will have you swimming in water around the environment, and the lava level will have you avoiding lava pits. The overall presentation will surpass your expectations, even when you think the game has met them. The Adventures of Pip is a fun and enjoyable game with great level design. The game won’t take too long to complete, but collecting all the upgrades and villagers will increase your playtime. The evolving and devolving mechanic will have you running and breezing through levels in no time. The level design and bosses will surpass your expectations and will lead you to appreciate the game even more. For a well-crafted, enjoyable side-scrolling adventure, I’d recommend Adventures of Pip.